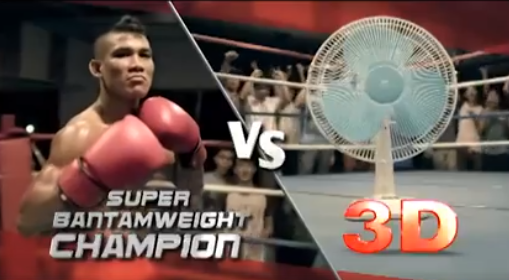 Watch the first Ever TV commercial of the newly signed UFC fighter Jenel Lausa of the Philippines. Lausa commercial video was uploaded by 3D New Generation Electric Fan Facebook. This will be the start of the popularity of the Former PXC Super Bantamweight champion. Jenel Lausa UFC debut was moved to November 27th, in the undercard of Rockhold vs Jacare 2 that will be held in Australia. He will face the Chinese Zhikui Yao in a preliminary fight.